Don’t worry, this isn’t today’s only post. But I’ll be referring to it in several upcoming recipes so I thought it’d be nice for it to have its own post so people wouldn’t have to scroll through a bunch of other stuff to find it. In a bowl combine the soy sauce, vinegar, honey, water and sesame oil. 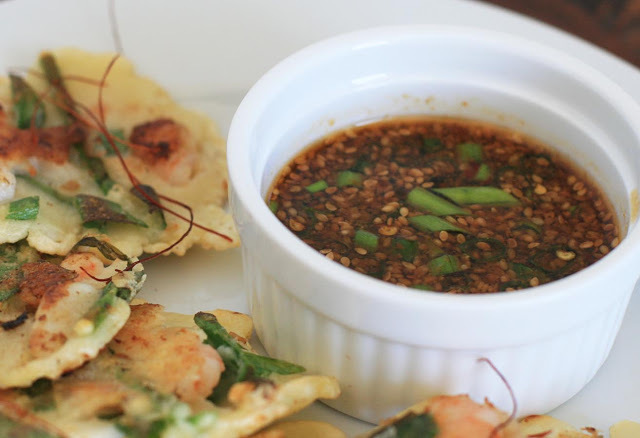 Add the pepper flakes, sesame seeds, and green onions and mix to combine. Transfer any leftover sauce to an airtight container and store in the refrigerator. 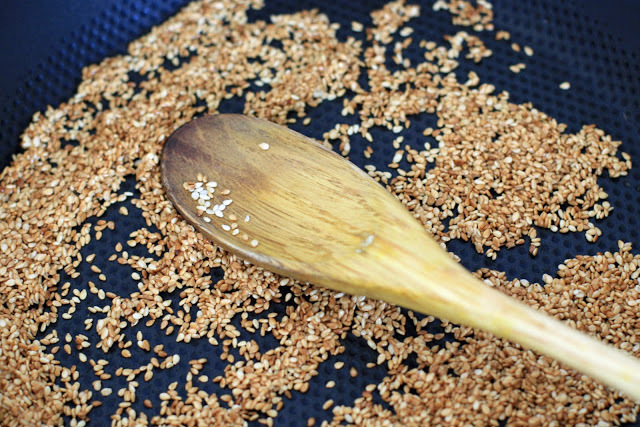 Note: You can sometimes find roasted and crushed sesame seeds at an Asian store, but I just pan toasted some raw sesame seeds for a couple minutes, until they turned golden, and then pulsed them briefly in a coffee grinder.